Earlier this year, Virginia Gov. Robert McDonnell announced that his office was expanding and streamlining the process for nonviolent felons to have their voting rights restored. Some 350,000 convicted nonviolent felons became eligible to have their civil rights restored on July 15. Two months later, only a small fraction of those eligible know about the policy. Even fewer have applied. The state does not have a single comprehensive list of eligible nonviolent felons. So there is no efficient way to notify individuals of the rights-restoration process. Community groups like Virginia Organizing are doing outreach to communities where eligible individuals may live, but to date just under 800 applications have been received by the Governor’s office. It’s still early in the process, but Virginia’s experience reveals the vital role of good data in any election administration effort. Given that both major-party candidates for Governor support the program, it is likely that there will be opportunities to assemble that data; in the meantime, however, community groups – and former offenders themselves – will continue their outreach efforts in hopes of identifying individuals eligible for rights restoration under Virginia’s new system. 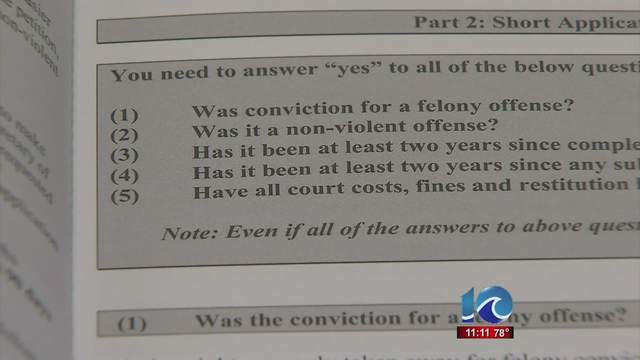 Be the first to comment on "In Virginia, Slow Going So Far on Rights Restoration for Felons"